Christmas is only a few days away … do you think Santa will come visit you? Or is it the Christ child that comes and brings you presents? In some German families, it’s either or. Which also brings me to today’s Country; GERMANY. So many cookies have different names, a lot are based on somewhat the same Recipe, but I am excited about this one that Binky, has shared with us today. A cookie that should not be missed on any Cookie Platter. Hi! My name is Beth “Binky” Neels. I blog over at Binky’s Culinary Carnival. I love to cook! Any kind of cooking. From Baking to Canning to Back Yard Parties, you name it. So I thought ‘Carnival’ indicated an appropriate conglomeration of treats! I am especially fond of quick breads (about 10 minutes worth of prep and you have a great snack for the kids, breakfast or dessert). In the last several years jams, preserves and freezing have become an important summer activity. Living on the protected shores of Lake Ontario, Stone Fruits are in abundance. In some areas of the County, Orchards exceed population! I have a bachelor’s degree from Cornell University in Ornamental Horticulture. I use my knowledge of plants to grow a plethora of great fruits and vegetables in the summer. I start my own plants in January and February so that by planting time in May, I have huge plants that produce fruits within the first month! It gives me a real jump on the season! What makes Christmas special to you Beth? Christmas has always been a special time for our family! A time when we can all get together and enjoy each other’s company and fun decorations, eat great food and sing German Christmas Carols! It is a way for us to embrace our European heritage because many of our decorations are straight from Germany, either family heirlooms or things we have picked up in our travels! There is no other time of the year that we really do that, as a family! Hildabrötchen, or Hilda brotchen, as Google says is a more common search term, is one of our traditional German Christmas Cookies! They are bright and festive and really spruce up a cookie platter! Get the Recipe over at Binky! 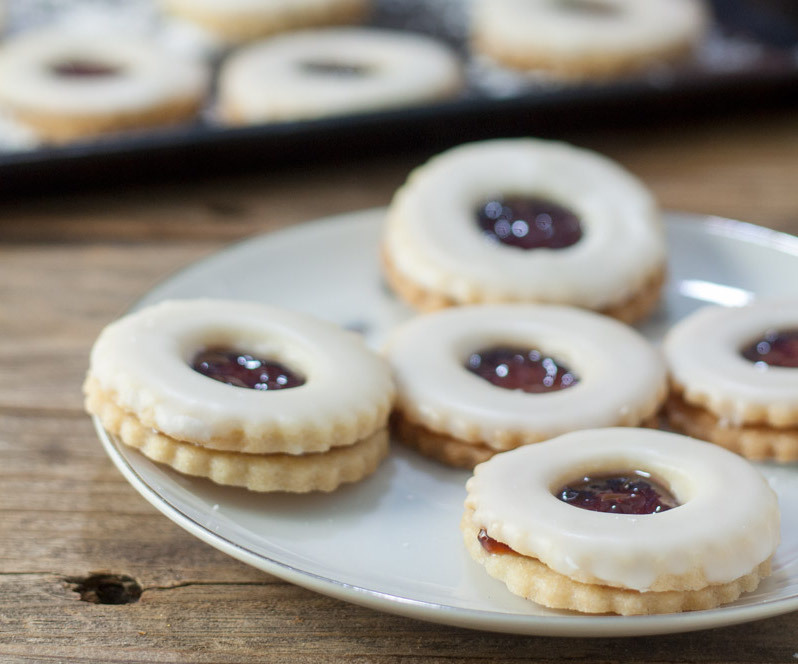 Do you have a Family favourite recipe, maybe like these Hilda brötchen? Thank you for sharing Hildabrötchen, inka! I hope your readers enjoy!